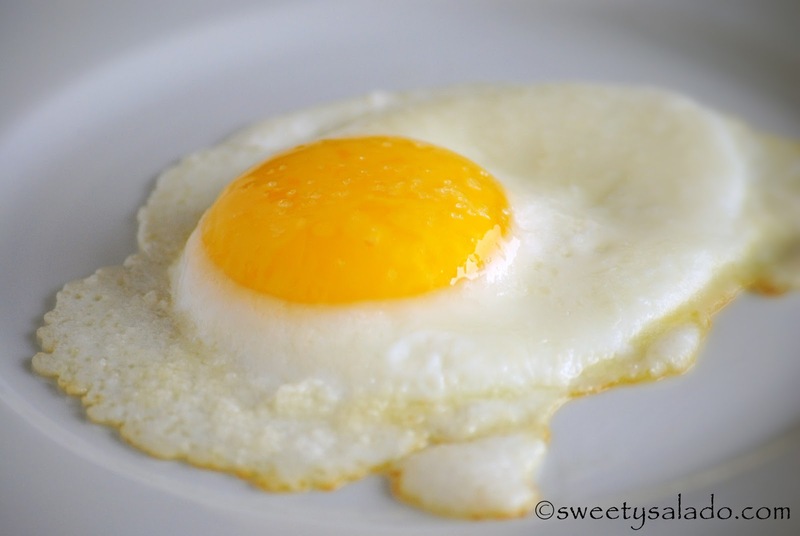 Frying an egg is not the hardest things to make, in fact, it’s one of the easiest. But did you know that a lot of people don’t know how to make one or don’t know how to make it well? As a kid I always watched my mom and the women in my family fry their eggs in a pan filled with oil where they would float and shoot grease all over the place. Not only were they drenched in oil but they would also shrink and come out tiny and crispy. Then, when I started to go out for breakfast at different restaurants I noticed that their fried eggs were totally different, big, with a nice color and practically oil free. In my opinion the best way to make them is with butter, preferibly clarified butter since the milk solids found in regular butter tend to brown the edges of the egg whites. This is something that really doesn’t bother me so that’s why I always make my fried eggs with regular butter. Every now and then I use just a tiny bit of olive oil or don’t use any oil at all. But butter definitely gives them a rich flavor. I hope you find this simple recipe somewhat useful and that you enjoy it at breakfast or even with a delicious bandeja paisa. 1. Heat a pan at low heat, add the butter and wait for it to melt. 2. Add the egg, season with salt and cook until the egg white is white and firm. Serve immediately. 1. Heat a pan at medium-low heat, add the butter and wait for it to melt. 2. Add the egg, season with salt and cook until the egg white is white and firm. 3. Flip the egg either free hand or with a spatula and cook for 30 seconds. Flip the egg again and serve immediately. 3. 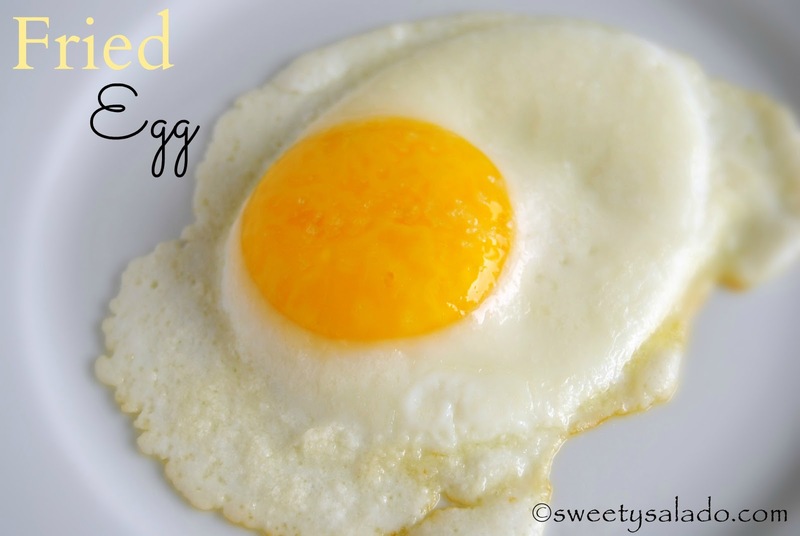 Flip the egg either free hand or with a spatula and cook for 1 – 1½ minutes. Flip the egg again and serve immediately. 3. Flip the egg either free hand or with a spatula and cook for 1½ – 2 minutes. Flip the egg again and serve immediately.